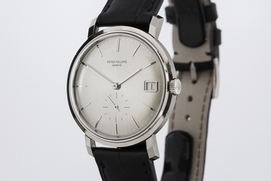 Condition Notes: Near mint condition. 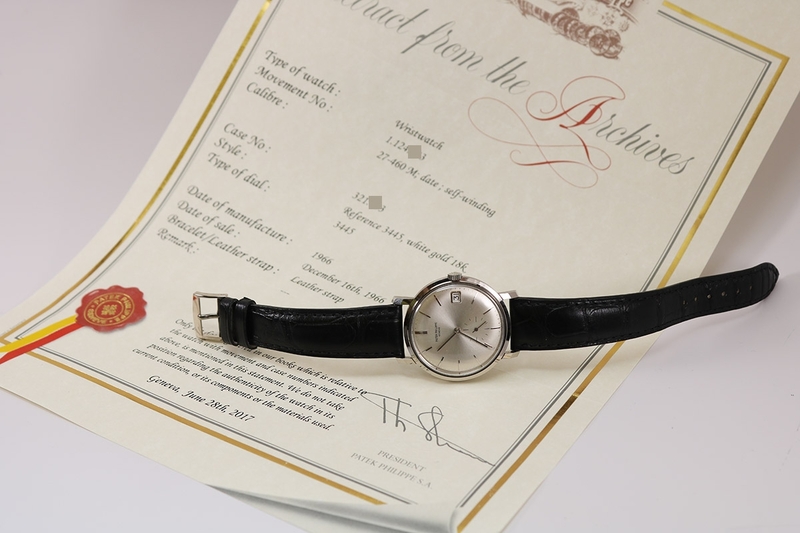 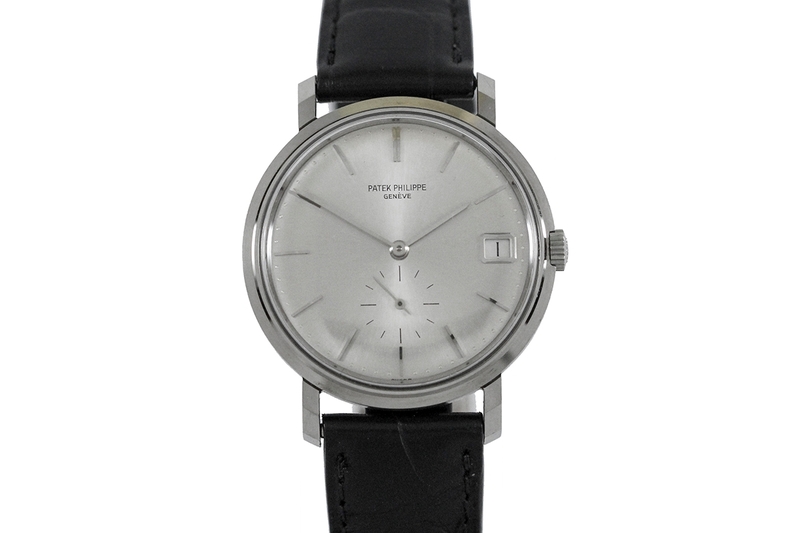 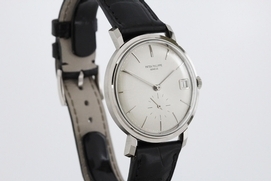 This is an elegant classic Patek Philippe Calatrava Ref 3445G in near mint condition. 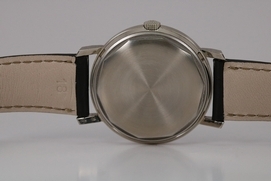 The case, with its screw down case back has sharp unpolished angles. 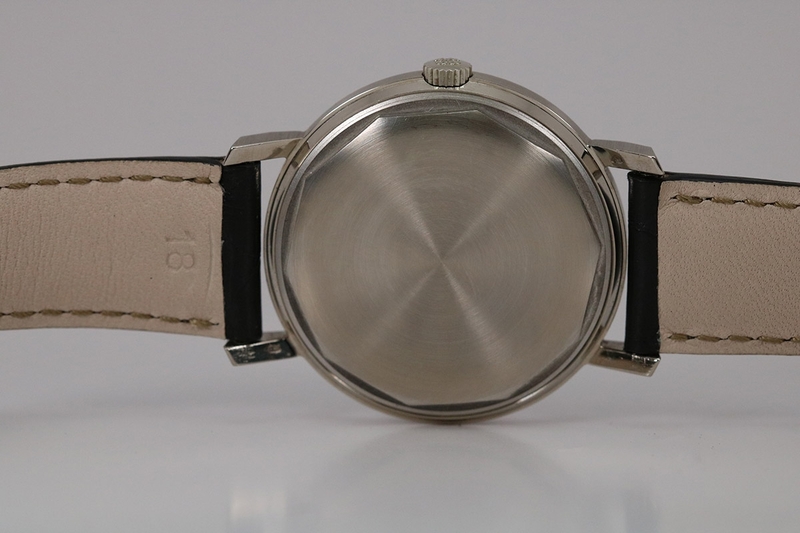 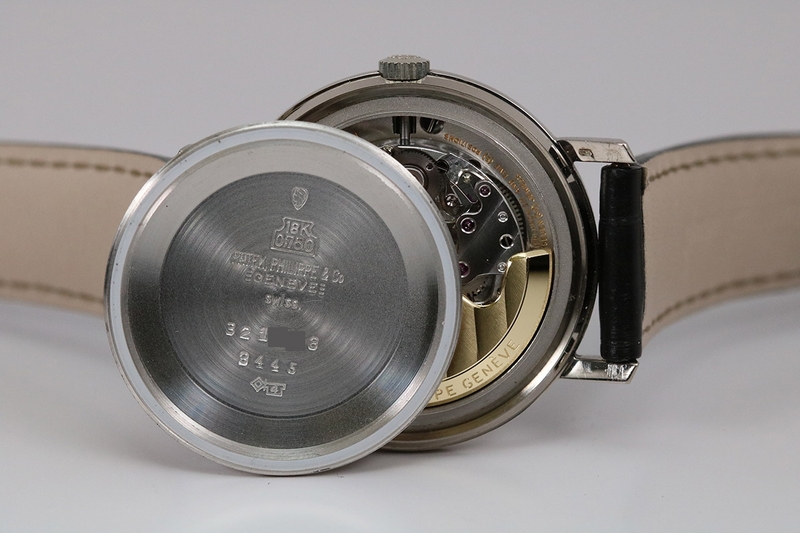 The original silver dial with applied slash markers, subsidiary seconds register and date aperture is pristine. 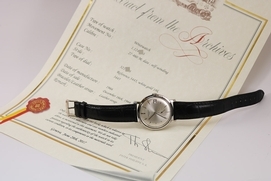 The ref 3445 was one of the first automatic Pateks with a date feature and powered by a caliber 27-460 movement. 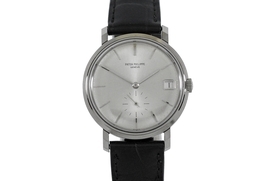 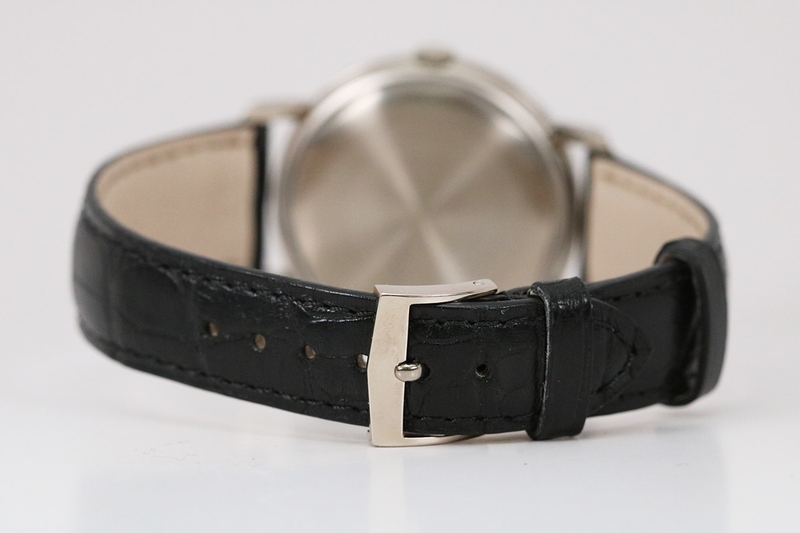 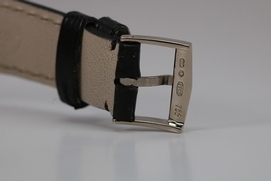 This watch comes with a Patek Philippe Archive which dates the watch to 1966. This is one of the nicest Patek 3445's we have ever had.